By the time the present Government came to power in 2015, Sri Lanka was in a deep economic crisis. Its growth had slowed down from a peak of 9% in 2012 to 3.4% in 2013 before recovering temporarily to 5%, still a low rate, in 2014. Exports had been stagnant at around $ 10 billion during the five year period from 2010 to 2014, while imports had been on average at about $ 18 billion giving rise to a trade deficit of about $ 8 billion annually. Since the net amount of monies sent by Sri Lankans working abroad, known as remittances, had been around $ 5 billion on average, Sri Lanka’s foreign exchange payments over receipts, categorised as the current account of the balance of payments, had yielded on average a deficit of about $ 3 billion. That deficit had to be financed by borrowing from abroad, mainly from commercial markets at high rates and under stringent terms. This sowed the seeds of what is now known as the external debt crisis. Accordingly, the total country borrowings from external sources consisting of borrowings of both the Government and the private sector more than doubled from $ 21 billion in 2010 to $ 43 billion in 2014. Of these borrowings, the commercial borrowing component too increased from 20% in 2010 to 40% by 2014. The phenomenal increase in the component of the commercial borrowings in total external debt had created issues on the debt servicing putting pressure for the exchange rate to depreciate in the market. However, the rupee had been kept artificially at a high level at around 131 rupees per US dollar by market manipulations. These market manipulations, known as ‘immoral suasion’ as against Central Bank’s legitimate tactic of ‘moral suasion’, had forced commercial bank foreign exchange dealers to withdraw bids placed above Central Bank’s guided rate. Hence, the value of the rupee could not reach its true value based on the demand for and the supply of dollars in the market. Meanwhile, a fiscal sector crisis had been created by the continuous fall in government revenue as a percentage of the country’s total output, known as Gross Domestic Product or GDP. Accordingly, revenue had fallen from 13% of GDP in 2010 to 11.6% in 2014. Since the government expenditure had been around 18% of GDP during this period, the budget of the Government had generated an overall deficit of around 6% of GDP. This deficit had causedthe public debt to balloon to unsustainable levels, on the one hand, and caused the rupee to depreciate in the subsequent periods through increased money supply to finance the same, on the other. Thus, as far as the country’s economy was concerned, the new Government had taken over a sick patient. This was not news to the new Government. It had been adequately warned about the economic crisis the country was facing by the Institute of Policy Studies, abbreviated as IPS,in its State of the Economy for 2014 released one month before the new Government was sworn in. I have reviewed this report in an article in this series published under the title ‘IPS State of the Economy 2014: A critical probe shows hidden risks and defects of policies (available at: http://www.ft.lk/columns/ips-state-of-the-economy-2014-a-critical-probe-shows-hidden-risks-and-defects-of-policies/4-373511). IPS had warned the policymakers in the Government, especially those in the Ministry of Finance, about a number of pitfalls they had to avoid. One was the pressure for the exchange rate to depreciate due to the folly of building foreign reserves by borrowing from abroad and attracting hot money to the government securities market. Another was the resort to commercial borrowings in increasing amounts to meet the foreign exchange requirements, instead of adopting a medium to long term strategy to enhance earnings from the export of goods and services. A third was the window-dressing of the government’s foreign borrowing statistics by getting state banks to borrow abroad on its behalf. A fourth had highlighted the risks associated with concentrating Foreign Direct Investments exclusively in the hospitality sector. In the fifth place, IPS had drawn the attention of the policymakers to the long-term adverse effects of pruning the capital expenditure of the Government to show a reduced number relating to the overall budget deficit. This report would have been the guiding principle for the new Government to frame its economic policies to rescue the ailing economy. But, it was ignored. However, in the first six-month period after the formation of the Government, it got itself totally immersed in the constitutional reforms neglecting the economic front altogether. As a result the economic crisis in the country deepened slowing down economic growth, on one side, and creating a massive balance of payments problem, on the other. Since there was no sufficient amount of foreign exchange available to meet foreign debt repayment obligations, it had to borrow more from external sources not only to repay maturing debt but also to make annual interest payments. This led to a sizeable increase in the government’s foreign borrowings from $ 24 billion at end-2014 to $ 31 billion at end-2017 worsening the prevailing external debt crisis. Since the pressure on the exchange rate was severe, the Central Bank had to supply to the market, on a net basis, $ 4 billion to defend the rupee without success. There were several mistakes made by the Ministry of Finance led by Minister Ravi Karunanayake. In the Budget for 2016, to show better numbers on revenue and expenditure on education and health, an unusual revenue item had been reckoned. That was the use of a hypothetical rent revenue figure of $ 139 billion on account of the buildings used for education as well as for health services. This number surely showed improvement in the Budget. However, it did not strengthen the Budget, since it was merely a book entry with no associated cash inflow to the Treasury. The folly of usingnon-existing revenue and expenditure figuresin the Budget was critically evaluated by me in an article under the title ‘Budget 2016 and Education and Health Expenditure: Playing numbers games isn’t in accord with good governance principles’ (available at: http://www.ft.lk/columns/budget-2016-and-education-and-health-expenditure-playing-numbers-games-isnt-in-accord-with-good-gove/4-507663). But, Minister Karunanayake stubbornly defended his action, earning ridicule for Sri Lanka from public finance experts throughout the globe. 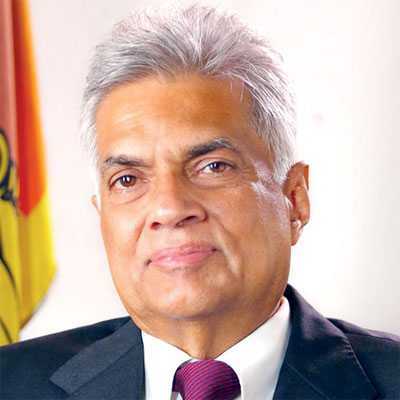 Prime Minister Ranil Wickremesinghe made no attempt at correcting his Government’s folly. Fortunately, this anomaly in the Budget numbers was corrected by his successor, Mangala Samaraweera, when he presented the Budget for 2017. 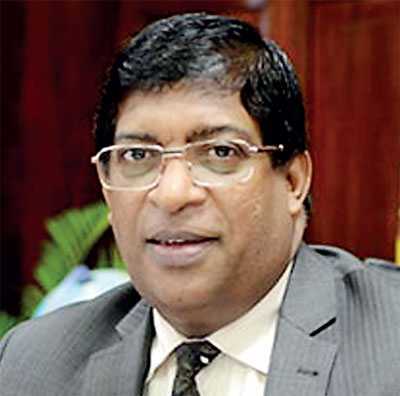 About the foreign exchange crisis, instead of seeking assistance from the International Monetary Fund or IMF, Minister Karunanayake maintained that he could bring the exchange rate to a level of Rs. 105 per US dollar by getting an elusive Belgian investor to supply $ 1 billion to the country. This number was subsequently upgraded by him to $ 3 billion. This year has been reckoned by everyone as a year of elections. When a government is getting ready for elections, it has to postpone economic reforms. Instead, it will have to concentrate on measures that would please the voting public. These measures will take the form of delivering numerous types of free goodies to the public at the expense of the future economic growth in the country. Obviously, this was an attempt at money laundering and the Minister would have fallen for it knowingly or unknowingly. Its futility and the long-term adverse consequences were analysed by me in another article in this series titled ‘The illusive rescue of the rupee by an elusive Belgian investor: Is the Yahapalana Government on the wrong track?’ (available at: http://www.ft.lk/columns/the-illusive-rescue-of-the-rupee-by-an-elusive-belgian-investor-is-the-yahapalana-government-on-the-/4-519497). In this article, I warned the Government about going for unsustainable remedies when the correct remedy for the falling rupee would have been to boost earnings from export of goods and services. It was also pointed out that a sovereign government cannot function like an underworld operator and it is accountable to the global community for every action it takes relating to the use of external funding flows. Still, the Government kept mum about this attempt at sanctioning money laundering by its own Finance Minister. However, later it was known to be a flop and no such money was received by the country. But, while the Government was engaged in a futile attempt at attracting laundered money, the rupee came under further pressure, forcing Sri Lanka to seek assistance from IMF to rescue the rupee. But by that time it was too late. Prime Minister Ranil Wickremesinghe, to his credit, presented an economic policy statement to Parliament in November 2015. In my view, that statement had been well-crafted taking into account the prevailing economic situation in the country. He had very correctly identified the long-term need for Sri Lanka to cut down its consumption, divert resources for investment, boost export of goods and services by concentrating on high tech products, linking Sri Lanka to external markets through bilateral trade agreements and changing the budget structure by increasing the direct tax base and reducing the reliance on indirect taxes. There was the necessity for the two coalition partners of the Government, the UNP and the SLFP, to jointly sign off the strategy outlined in the statement. This was not done and as a resultthe ownership of the new economic policy strategy fell exclusively on the UNP side of the Government. This was the reason for the subsequent conflict between the President and the Prime Minister with regard to the type of economic policies to be adopted by the country. 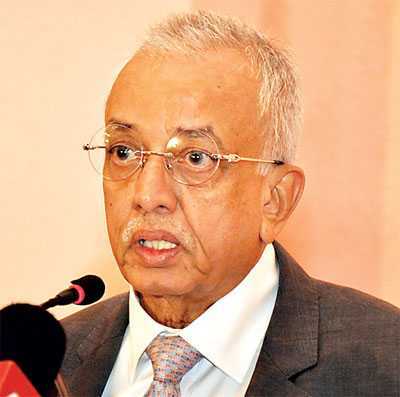 Further, the implementation of the economic policy strategy outlined in the statement became a non-event when Finance Minister Karunanayake presented a Budget two weeks after the statement with policies counter to or misaligned with the strategy outlined in the statement. The attention of the Government was drawn to this deficiency by me in an article in this series under the title ‘Budget 2016: Has it laid the foundation for implementing the policy outlined in EPS of Yahapalana Government?’ (available at: http://www.ft.lk/columns/budget-2016-has-it-laid-foundation-for-implementing-the-policy-outlined-in-eps-of-yahapalana-governm/4-499447). Meanwhile, Prime Minister Wickremesinghe continued to present economic policy statements to Parliament, another in October2016 and the last in November 2017, without reference to the goals achieved in the previous statements. Independent of these statements, a new policy document titled Vision 2025 was released by the Government in June 2017 outlining a set of policies to be adopted by the Government aiming at the elections to be held in the country in 2020 and beyond. 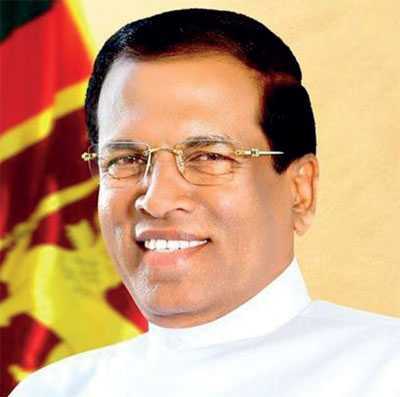 Meanwhile, President Maithripala Sirisena, who had not been happy about the way the economy was planned and managed by the UNP section of the Government, setup a National Economic Council or NEC under his chairmanship with a secretariat established in the Presidential Secretariat. In April 2018, the NEC Secretariat announced that it had prepared a National Economic Plan which document is yet to be released to the public domain. As such, the policy disunity in the new Unity Government during the last four-year period has produced nothing but a ‘bowl of spaghetti’ which cannot be easily unravelled by either party in the Government. One good example is the opposition of the President to the Singapore-Sri Lanka Free Trade Agreement signed by the Prime Minister’s side of the Government. The President, in order to prove himself that the agreement is not in the best interest of the country, appointed a group of economists to re-examine it and report back to him. Instead of rejecting the agreement in toto, the group has reported back instances of violation of economic policy governance when it was framed by the Prime Minister’s side. But this policy disunity has cost the economy substantially in the past four years. 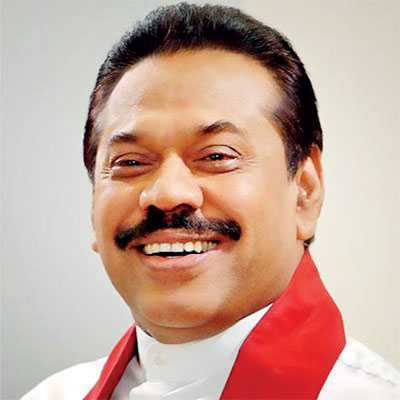 Immediately after Mahinda Rajapaksa was sworn in as Prime Minister in October2017, his provisional Government outrivalledthe UNP by announcing a number of free goodies which were not economically sustainable. The economic cost of these free goodies was analysed by me in an article in this series under the title ‘Hastily-delivered midnight goodies will derail the Budget despite assurance by Finance Ministry’ (available at: http://www.ft.lk/columns/Hastily-delivered--midnight-goodies--will-derail-budget--despite-assurances-by-Finance-Ministry/4-666082). 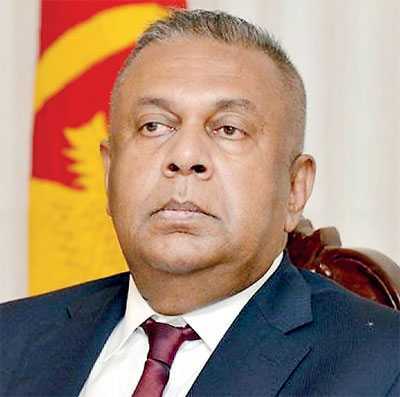 Hence, the Budget to be presented to Parliament in March this year can be expected to deviate from the hard economic policy reforms which Finance Minister Samaraweera had embarked on when he took over that portfolio two years ago. It has to necessarily outrival the Opposition camp by delivering more free goodies. The past four years have been wasted by the Unity Government by ignoring necessary economic reforms. In view of the elections planned to be held in 2019, this year will be a wasting year as far as the economy is concerned. Hence, at the end of the year, public debt will be larger, inflation higher, monetary policy stricter, rupee value against the dollar lower and economic growth slower. The country will have to restart 2020 withmeasures to correct the new cycle of economic derailment that has been forced upon the economy by short-sighted policies in the present year.